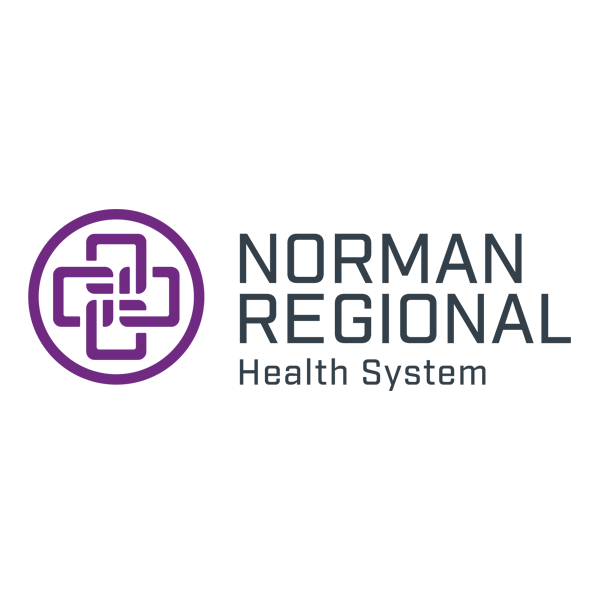 Norman Regional Health System (NRHS) is one of the last independent health systems in America, with the freedom to design our services around the unique needs of Oklahomans in Norman, Moore and beyond. With more than 3,000 people across three main campuses and more than 30 clinics and offices, we’re big enough to provide comprehensive medical care and small enough to feel like home. NRHS has been recognized with dozens of national and local awards, and has two accredited Centers of Excellence. As a public trust operated by Norman Regional Hospital Authority, Norman Regional will always be from our community and for our community. Norman Regional is passionate about giving back to our community, partnering with a variety of service organizations to touch more lives. School Nursing Program: Provide funding for 28 health professionals in Norman Public Schools, as well as one for Noble Public Schools. Athletic Trainers: Provide funding for two athletic trainers in Norman Public Schools. Little Smiles: Coordinate free dental services for children so they can have beautiful smiles and increase their confidence and ability to learn. Say Boo to the Flu: Administer free flu vaccinations to community members each October. Kids Are Special People: Educate more than 2,000 elementary school students each year on health and wellness topics. Anytime CPR Kit: Supplied five CPR safety kits so Moore and Norman high school seniors could meet state graduation requirements of becoming trained in hands-only CPR. Meals on Wheels: Prepare and package 1,250 regular and special diet meals per week for Meals on Wheels clients. Feed the Children: Partnered with Feed the Children to provide food and supplies for 800 families in our communities. Stop the Bleed Kits: Provided Stop the Bleed kits and training for Norman, Noble, Moore, Robin Hill and Little Axe public schools. Certified Healthy Business Award - Norman Regional Health System is a Certified Healthy Business at the excellence level. Mission: Lifeline Awards - Norman Regional Health System received the Mission: Lifeline® Silver Plus Receiving Quality Achievement Award and the Mission: Lifeline® NSTEMI Silver Quality Achievement Award for implementing specific quality improvement measures outlined by the American Heart Association for the treatment of patients who suffer heart attacks. American College of Cardiology Award - Norman Regional received American College of Cardiology’s NCDR ACTION Registry Silver Performance Achievement Award for the health system’s commitment and success in implementing a high standard of care for heart attack patients. There are only 95 hospitals nationwide to receive the award. Get With The Guidelines Award - Norman Regional Health System received the American Heart Association/American Stroke Association’s Get With The Guidelines®-Stroke Silver Plus Quality Achievement Award. The award recognizes the hospital’s commitment to ensuring stroke patients receive the most appropriate treatment according to nationally recognized, research-based guidelines based on the latest scientific evidence. Women's Choice Awards - Norman Regional Health System has been named one of America’s best for Bariatric Surgery and Stroke by the Women’s Choice Award® for two years in a row (2017-2018), America’s trusted referral source for the best in healthcare. The award signifies that Norman Regional is in the top 9 percent for bariatric surgery and top 8 percent for stroke centers of 4,812 U.S. hospitals and stroke centers reviewed. Chest Pain Center Accreditation - Norman Regional HealthPlex's Chest Pain Center received accreditation from the Society of Cardiovascular Patient Care. Norman Regional Wins Gold in Healthcare Marketing IMPACT Awards - Norman Regional Health System took home the Gold at the 2014 Healthcare Marketing IMPACT Awards! The Health System won the first prize in the category of Community Outreach Campaign of the Year for its campaign that tells the story, through print and video, of a community's healing and rebuilding, reminding residents that "Moore is ready to treat you again." The IMPACT Awards were created by Modern Healthcare and Advertising Age to recognize healthcare’s best advertising, marketing, promotion, and communication campaigns on and across all media platforms. 2014 VHA Regional Award - Norman Regional received VHA's Regional Clinical Award for Clinical Improvement in Acute Myocardial Infarction in 2014. Quality Respiratory Care Recognition - Norman Regional received the Quality Respiratory Care Recognition (QRCR) from the American Association for Respiratory Care in 2013. HealthGrades Awards - 5-Star Award for Hip Fracture for 10 years in a row and 5-Star Award for Back Surgery for three years in a row. Sustained Improvement Award - Norman Regional was awarded the sustained improvement award for Achievement in Eliminating Ventilator-Associated Pneumonia and Central Line-Associated Bloodstream Infections by the US Department of Health and Human Services and the Critical Care Societies Collaborative. 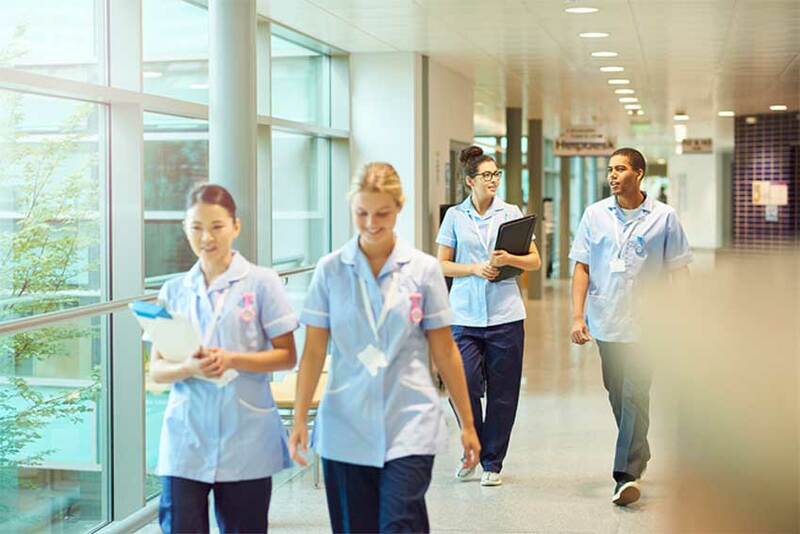 The Critical Care Societies Collaborative includes the American Association of Critical Care Nurses, the American College of Chest Physicians, the American Thoracic Society and the Society of Critical Care Medicine. Certificate of Participation - Norman Regional Hospital was awarded a certificate of participation in the Centers of Medicare and Medicaid Services Quality Improvement Organization Program: Reducing Rates of Health-care Associated Methicillin-Resistant Staphylococcus Aureus (MRSA) Infections in the Acute Care Setting. 2011 VHA Awards - Norman Regional Health System was recognized by the VHA for outstanding clinical performance. All three of our hospital campuses garnered awards. VHA Blueprint, Norman Regional Hospital Emergency Department - Norman Regional Hospital’s Emergency Department has been honored for its outstanding emergency care to patients by VHA, a national alliance of non-profit hospitals. Norman Regional’s Emergency Department was one of only two in the region selected to serve as a role model to other hospitals and the first in the nation to have average length of stay values that routinely fall below the national average. Norman Chamber of Commerce, Greenovation Award - Norman Regional was honored with the Greenovation Award from the Norman Chamber of Commerce. The System won in the category of conservation, large business. This award recognizes local businesses that are doing their part to reduce their impact on the environment and be better stewards of the earth. NRHS Hyperbaric & Wound Care Center Receives National Award - Norman Regional’s Hyperbaric & Wound Care Center has been awarded the Center of Distinction Award. This award is presented to the top ten centers in the country for exceeding benchmarks in quality issues for 12 consecutive months. These quality indicators include percentage of wounds healed, patient satisfaction, median days to heal, management of wounds that cannot heal and access to care. American Diabetes Association, Education Recognition Certificate - The American Diabetes Association (ADA) has recognized Norman Regional Health System’s Diabetes Center for its commitment to excellence in providing quality diabetes education to the public. The association’s Education Recognition Certificate assures the Diabetes Center’s educational programs meet national standards and staff is properly credentialed. The Barbara Lynch Community Partner Award - Norman Regional was honored by the Oklahoma State School Boards Association with the Barbara Lynch Community Partner Award. The award honors an organization that displays community engagement and service. NRHS was nominated for the award by the superintendent of Norman Public Schools for NRHS’s partnership with the school district to equip schools with health professionals and registered nurses. VHA Leading Practice Hospital - VHA Inc. recognized NRHS as a leading practice hospital for our work in pneumonia prevention and treatment through effective use of vaccinations and timely antibiotic administration for patients with pneumonia. VHA Leadership Awards - Norman Regional received two “Strive for Perfection” VHA Leadership awards in recognition for our ongoing work with patients diagnosed with congestive heart failure and pneumonia. NRHS also received the “Strive for Excellence” Leadership award in recognition of the ongoing work with heart attack patients. The health system’s Intensive Care Unit received three awards from VHA, recognized for their work in the reduction of blood stream infections, glucose control, and sepsis implementation within an ICU. 2007 Regional VHA Awards - Norman Regional Hospital’s Emergency Department was honored with a regional award from VHA. The Emergency Department earned the Sustained High Performance Award in recognition of maintaining an average performance equal to or better than national benchmarks. 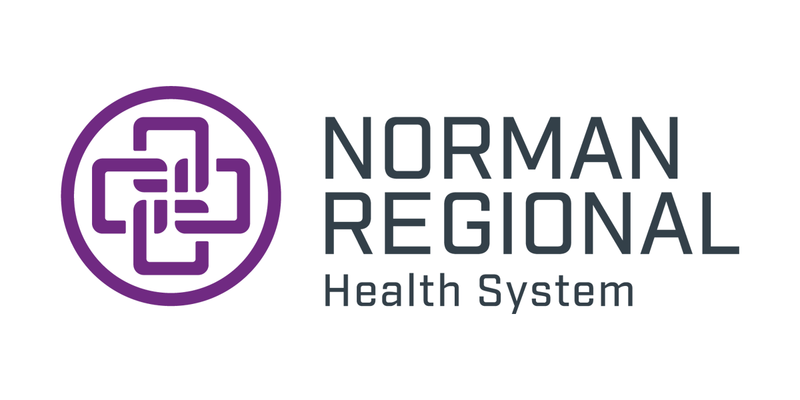 Norman Regional Health System was awarded a 2007 Regional Clinical Excellence Award from VHA. Only four organizations were honored with this award, which recognizes outstanding core measures in the areas of treatment of heart attack, pneumonia, heart failure and prevention of surgical site infections. Norman Regional was also given the Clinical Improvement Award. We were one of 31 organizations that improved the aggregate score for any single measurement set over baseline by 5 percent or greater. Modern Healthcare, Team Spirit of Excellence Award - Modern Healthcare awarded Norman Regional Health System the National Team Spirit of Excellence Award for creating a “magnetic culture” to which employees would be attracted and retained. The Oklahoma Foundation for Medical Quality, Quality Award - Norman Regional Health System was presented with a Quality Award by the Oklahoma Foundation for Medical Quality. Norman Regional Hospital was recognized as the most improved hospital for clinical outcomes in the large hospital category. American Heart Association, Start! Fit-Friendly Company - NRHS was recognized by the American Heart Association as a Start! Fit-Friendly Company. We were recognized for promoting physical activity and health in the workplace. Oklahoma Fit Kids Coalition, Distinguished Corporate Leader Award - Fit Families received the 2007 Distinguished Corporate Leader Award from the Oklahoma Fit Kids Coalition. Fit Families teaches the entire family how to live healthier lives by educating them about proper dietary habits, ideal levels of physical activity, coping with stress, and building self-esteem. Champion of Health Award, Champion of Children’s Health - Norman Regional Health System was honored with an award that recognizes organizations and individuals dedicated to improving the health of Oklahomans. Norman Regional has received a Champion of Children’s Health award for its innovative collaboration with Norman Public Schools to financially support the establishment of school health services. The Champions of Health awards program is presented by Blue Cross and Blue Shield of Oklahoma, the Oklahoma State Department of Health, the Oklahoma Hospital Association, and other state agencies.